Co-founder of Blab, Shaan Purri once said people don’t want scripted, manicured, polished and perfected content anymore. They want brands to be authentic. 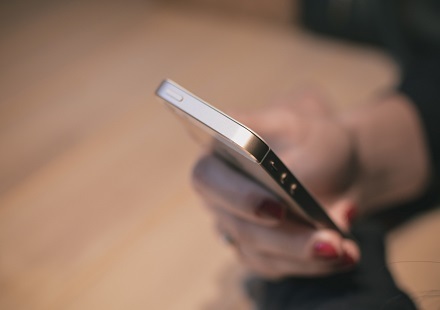 “Live video is the future of marketing – live video is hot,” said Mike Stelzner, CEO of Social Media Examiner, at Social Media Marketing World last month. If brands want to win, they must adapt. Quickly. I know, I know. Most brands only flirt with the idea of opening the door and letting people behind the scenes. It’s a risk. A big one. Brian Fanzo agrees, but he says it’s a risk worth taking. The great thing about live video is that it allows everyone to be a broadcaster. He makes a good point: If you’re already doing good things, why not amplify? Still not sold? The stats don’t lie. These stats reflect the growing trend, and soon, the widespread adoption of live video. 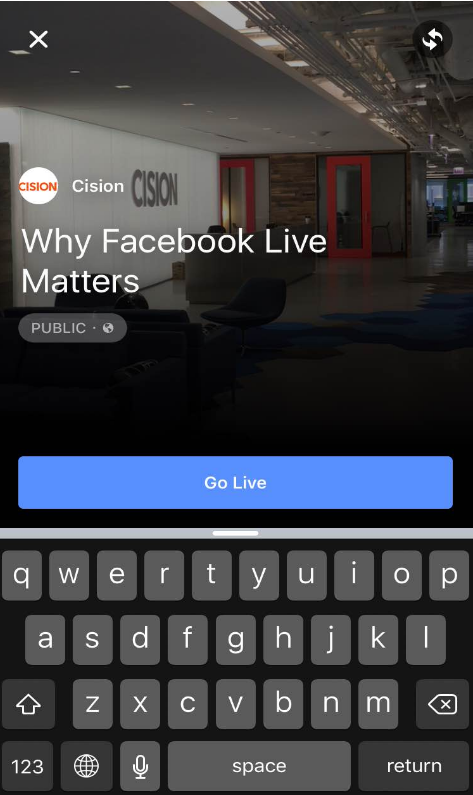 In this post, I want to focus on Facebook Live as it is something I started experimenting with as the social media manager at Cision. Facebook has steadily been releasing Live over the last several months. It came out in August 2015 for verified public figures. Early December 2015, Facebook Live became available to select people on their personal profiles and then to all verified Facebook pages later in the month. Facebook Live allows your audience to have a behind the scenes, intimate experience with you. What’s more? Facebook controls the reach of Live broadcasts through the news feed ranking algorithm, as with all organic posts. Translation: the reach is unreal. 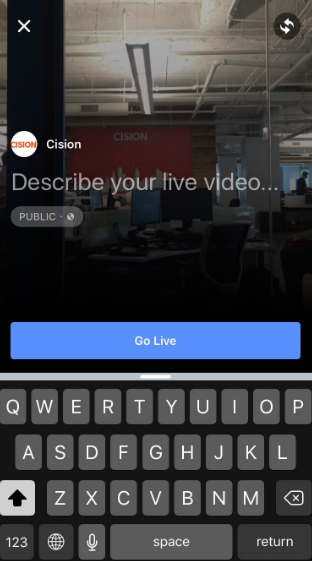 Cision’s first Facebook Live video had 20 (yes, 20!) times more reach than our regular posts. Because of Facebook’s new algorithm, Facebook Live videos get more reach. More reach = more brand awareness! I suggest creating a content calendar for all of your live streams. Planning ahead allows you time to inform your audience that you will be live, which increases the chance of having a larger audience. 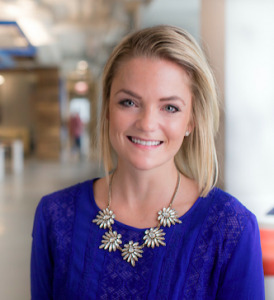 Mari Smith, the “Queen of Facebook” recommends going live for at least five minutes, but no longer than 20 minutes. If your phone or camera is mounted on a tripod, be cautious of drifting out of the shot. I suggest planning this ahead of time and putting tape on the floor so you know where you need to stand in order to stay in the frame. Just before you go live, you can enter in a title for your Live session. Be descriptive so people know what they’re watching! 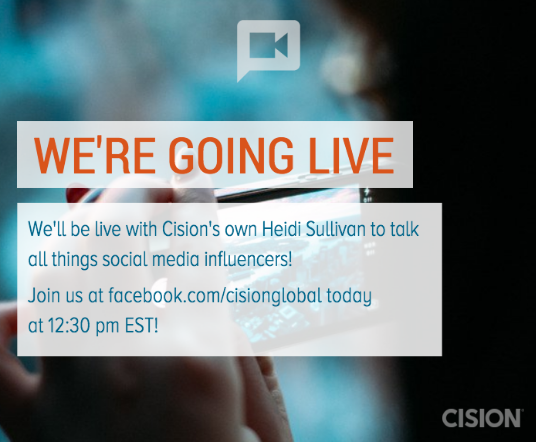 The whole idea behind live streaming is that people want to get to know you, right? Right. So don’t stand far away from the camera. When you have the camera turned around on you, keep arms distance away from your phone. As you can see in the Cision headquarter tour Live video above, I was sure to introduce myself in the beginning with the camera faced towards me. Then, as I walked around the office and chatted with other people, I turned it around. Give your viewers various viewpoints to keep their focus. This is not to be scripted. Remember, people want to see you. Unscripted. Just like a regular post, video or photo on Facebook, you can edit your video once you are done filming. Facebook Live allows you to save your videos so that you can repurpose them! For example, if you’re live streaming an event, you can save the video and add it to your blog or website later. Put calls to action in your videos so that you can measure for business results. For example, include tracked links to your websites to see if going live is driving traffic to your site. Facebook Live is re-creating the watercooler on Facebook, a trend that I’m excited to get behind. Remember, your audience wants to know the people behind your brand. Invite them in. If you don’t, someone else will.